Domain Mondo's weekly internet domain news review (NR 2017-10-01) with analysis and opinion: Features • 1) Esther Dyson Interview, ICANN Founding Board Chair, 2) Other ICANN news: a. Verisign Data Stopped ICANN From Breaking the Internet, b. New gTLDs FAIL at EMAIL, c. ICANN Community FAILING Registrants, & More, 3) Names, Domains & Trademarks: New gTLD Buyer's Remorse, 4) ICYMI Internet Domain News: Hurricane Irma vs. Internet, 5) Most Read Posts. 02:37 Q. It sounds like, Esther, you're challenging the very concept of an internet community? "Yes I am, I mean the community definitely exists but it's not actively engaged the way corporations or registries and registrars and lawyers [are]." 05:30 "... how many TLDs there were and that's where ultimately I changed my mind from yeah, you know, there should be a free market as many as you want, but the reality is that reduces, it just, it creates a mess, then you might as well not have the DNS and that's something of course we're facing right now ..."
06:00 "the problem is not the shortage of domain names"
06:17 "the reality is the more stuff [TLDs] there is the less useful the domain name system is"
08:36 "One of the biggest fights that was emblematic of a lot of other stuff and here I had fierce disagreements with Joe Sims, our Board meetings were closed. 08:49 Q. And you basically thought that the board meetings should not be closed? "Yeah I thought they should be open" ... 09:03 "the internet culture is based on transparency" ... 09:40 "you should have the the fundamental policy of we hold our discussions and we set policy within the board meeting and we do that in the open so that people can see the disagreements and can see how the decisions were arrived at so that was really unfortunate ..."
14:30 "the the whole thing with the At-Large [ALAC] not really functioning very well was really disappointing because I really do feel that the users were kind of being ignored ... there was just a lot of people pretending to represent the at large"
17:26 "... it's [domain name industry] become a very lucrative business that at the same time is extremely competitive and there's lots of you know shady domain name practices ... I mean I would have liked to see ICANN regulating fraud and sleazy business more effectively. It's mostly, thank God, kept out of the censorship business." Esther Dyson on the Internet, ICANN and Doing Business Abroad | Knowledge@Wharton | knowledge.wharton.upenn.edu Apr 10, 2002: “'ICANN has become a real cesspool,' said Dyson." Testimony of Esther Dyson (pdf)--Hearing on ICANN's Expansion of Top Level Domains, 8 December 2011, before the U.S. Senate Committee on Commerce, Science & Transportation. ICANN's Boondoggle | MIT Technology Review, August 21, 2012: ".... a financial conflict of interest that continues to this day: ICANN subsists on the very industry it purports to govern. [Esther] Dyson says she “lost any faith, over time,” in ICANN’s ability to regulate the domain-name business." August 10, 2016, Letter (pdf) signed by Esther Dyson (and others) opposing the IANA transition. a. Data from Verisign (NASDAQ: VRSN) Stops ICANN From Breaking the Internet--KSK Rollover Postponed | ICANN.org 27 Sep 2017: "... The changing or "rolling" of the KSK Key was originally scheduled to occur on 11 October, but it is being delayed because some recently obtained data [Verisign data via RFC 8145] shows that a significant number of resolvers used by Internet Service Providers (ISPs) and Network Operators are not yet ready for the Key Rollover ... ICANN will provide additional information as it becomes available and the new Key Roll date will be announced as appropriate ..."--ICANN.org: "an estimated one-in-four global Internet users, or 750 million people, could be affected by the KSK rollover." (emphasis added). ICANN proves once again that new gTLDs FAIL at email in 2017 just like in 2003. No wonder some have accused ICANN of consumer fraud and gross negligence in delegating over 1200 new gTLDs into the internet root--without any warnings to consumers--knowing registrants and end users would find the new gTLDs' domain names were "failing to work as expected on the Internet." "Those that cannot remember the past are doomed to repeat it." c. The ICANN community is failing its customers [Domain Name Registrants] | OpenSRS.com 26 September 2017: ".... This example doesn’t just illustrate how the ICANN organization is failing in its duty to reasonably enforce policy; it makes clear the fact that the entire ICANN community, as the body responsible for creating policy, is failing domain name registrants – the very group of people that ICANN, and all of us in this industry, are intended to serve. ICANN’s policy development process is obviously broken. It’s equally obvious that the ICANN community’s approach to fixing it must be grounded in a solid understanding of their customers’ needs and a commitment to better registrant-experience. We need to refocus our efforts on creating policy that protects registrants, without creating unintended loopholes and dead-ends. Until then, all we can do is wish best of luck to our customers in India and elsewhere in the world." Date & Time: 4 October 2017, 1400 – 1500 UTC (time convert) 10am EDT. Send dial-in requests to gdpr-questions@ icann.org; Dial-in Information here. Participant Codes: English – Participant Code: 9001; Français – Participant Code: 9002; Español – Participant Code: 9003; 中文 – Participant Code: 9004; Pусский – Participant Code: 9005; العربية – Participant Code: 9006; Português – Participant Code: 9007.
f. Creating Content Governance and Rebuilding the Infrastructure of ICANN’s Public Sites | ICANN.org: "It probably comes as no surprise to many of you who use www.icann.org that our content can be difficult to find. It's an issue we have grappled with for a long time that needs a permanent fix. On 23 September 2017, at the ICANN Board meeting in Montevideo, Uruguay, the Board approved the Information Transparency Initiative to address this and other problems ... One of the primary objectives of this initiative is to improve the findability of ICANN's public content in all six U.N. languages"--see also Adopted Board Resolutions | Regular Meeting of the ICANN Board | ICANN.org: "... Resolutions 2017.09.23.10 –2017.09.23.11 Valuable ICANN information has accumulated in thousands of pieces of unstructured public content spread across 38 different public ICANN and SO/AC sites. This content continues to grow at rates of 25-30% per year. The ICANN organization currently surfaces this content through multiple, unconnected platforms with differing foundational technologies that are non-scalable, may be vulnerable, and are no longer fit for purpose." g. This Is No Joke: Request for Proposal: gTLD Marketplace Health Index Assessment | ICANN.org: "Indications of interest are to be received by emailing gTLDMktHealthIndexAssessment-rfp @ icann.org. Proposals should be electronically submitted by 23:59 UTC on 30 October 2017 using ICANN's sourcing tool, access to which may be requested via the same email address above." More information at the link above. h. Internet Service Provider and Connectivity Providers Constituency (ISPCP) Comments on the ICANN Statistical Analysis of DNS Abuse in gTLDs (SADAG) Report (pdf): "... While the SADAG report is a robust and ambitious analysis of abuse within the DNS, and the constituents of the ISPCP appreciate the time and effort put into the study, it is evident that the study requires either a second phase, additional source material, or a revised analysis, specifically: • It is mentioned only in passing that abuse and price are correlated, for example. Prices from 50 cents to 1 dollar (U.S.) are tied to abusive registrations. However, this ignores mentioning that the .top [new] gTLD is offered at 10 cents per domain for multiple registrars. Given the evidence that price and abuse are tied together, this would require further exploration. • As speculation and defensive registrations dominate the growth of registrations in the DNS and there are new gTLDs and registrars where there are greater than 50% abusive registrations, including one registrar where 90% of the domains are reported as abusive, then an analysis of this registrar’s attraction is required ... is this a deliberate business strategy? ..."(emphasis added)--read the other comments here. i. Cherine Chalaby will be the next Chair of the ICANN Board and Chris Disspain the next Vice-Chair--Chairman’s Blog: The Montevideo Workshop Wrap-Up | ICANN.org 26 Sep 2017. Was the $41.5 million price tag for .Shop domains worth it? 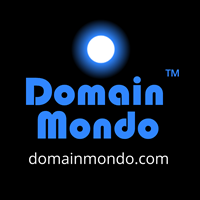 | OnlineDomain.com--New gTLD Buyer's Remorse. US Court Orders Dozens of "Pirate" Site Domain Seizures | TorrentFreak.com: "The order was signed exactly one day after the complaint was filed, in what appears to be a streamlined process." New .ie domain liberalisation proposal | IrishTechNews.ie: The proposal would "drop the need to prove a valid claim to the name. If the policy change is approved, any individual or business with a provable connection to Ireland will be able to register a .ie domain name on a first-come, first-served basis." • How the Internet Kept Running During Hurricane Irma: "At one node of the industrial backbone that keeps the internet running, employees sheltered from the worst of Hurricane Irma in a stairwell of a seven-story building in downtown Miami. When the power had gone out, diesel generators instantly kicked in ... the heavy digital machinery at the heart of the internet and the cloud held firm."--NYTimes.com. • China Blocks WhatsApp, Broadening Online Censorship | NYTimes.com (this follows China's mid-July crackdown on WhatsApp video chats, multimedia messages). • Wireless phone market in U.S. competitive with just 3 or 4 providers--The Federal Communications Commission (FCC) approved a report on Tuesday that says there is effective competition in the mobile wireless industry, though the number of major service providers may drop from four to three (AT&T, Verizon, T-Mobile-Sprint)--TheHill.com. • EU wants tech firms to police the Internet | euobserver.com: "the move - a non-binding recommendation issued on Thursday (28 September) - has attracted criticism from pro-free speech defenders, who question the role of companies in policing online content given the diverging laws throughout member states ... [but] the Strasbourg-based European Court of Human Rights clarifies free speech to include the right to offend, to shock, to disturb the state or any part of the population."